Winter has finally come to Westeros after a near 2-year wait and it has brought massive ratings. HBO has announced that 17.4 million viewers watched Game of Thrones Season 8 premiere on Sunday night alone. The linear channel saw 11.8 million viewers, while the other 5.6 millions chose to watch “Winterfell” on HBOGO and HBO NOW. Season 8’s first episode broke the previous record of 16.9 million viewers held by Season 7 finale. 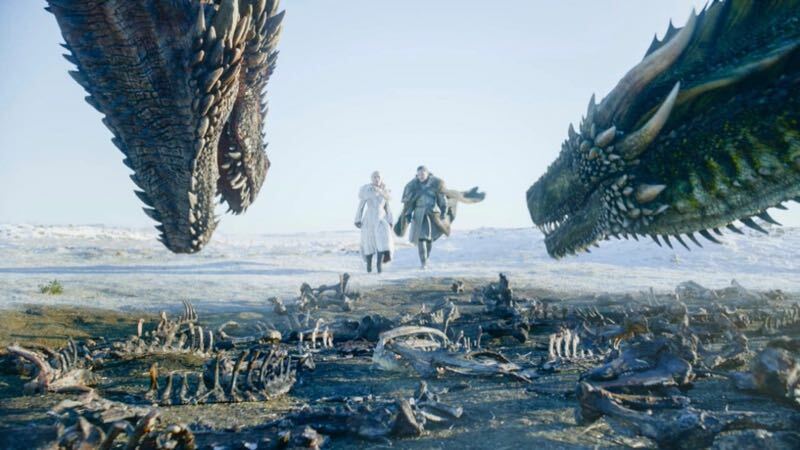 “The Dragon and the Wolf” drew a few more viewers on the linear channel than this season’s premiere, as it recorded 12.1 million linear viewers. Not only has Game of Thrones managed to build on its ratings every season, but the show saw a huge surge in digital participation, as streaming for the series on HBO GO increased 50% over the Season 7 finale and 97% over the Season 7 premiere. Game of Thrones Season 8 airs Sundays at 9 p.m. EST on HBO.